Besides tomato and melon, it is now also possible to measure taste for sweet pepper. 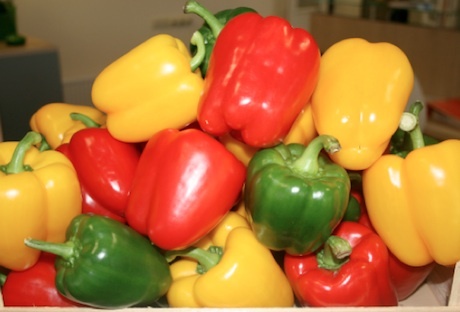 Together with breeding company Rijk Zwaan and ENZA and three sweet pepper growers, Wageningen UR Greenhouse Horticulture has developed a taste model for sweet pepper to predict the taste level of blocky sweet peppers. A few instrumental measurements used as input enables the model to predict how a consumer panel would score the liking. An advantage of the taste model compared to consumer panels is that it is faster, cheaper and more consistent, and smaller amounts of peppers are needed. The model gives clear information about taste, enabling companies to compare taste within seasons and over years. These taste figures facilitate communication between partners about flavour. For example, the tomato flavor model can already be seen as the standard for taste measurement by seed companies and trading houses in the fresh tomatoes chain in the Netherlands. Grower associations use the model to compare the taste between greenhouse locations. The taste figures make it possible to better assure the taste in brands and create a more uniform taste level. The taste model enables targeted action on taste improvement in the whole supply chain, to create added value for consumers. This research was partly funded by the program TTI Green Genetics.